Practically every American family’s dream is to take their kids on an iconic Disney World vacation. The problem is that iconic Disney World vacations are more than a little bit pricey for many budgets. However, with a little planning, you can take your children to see Mickey Mouse and all their favorites without going in the hole. First, you must create a workable budget. While you definitely want to cut corners where you can, you do not want to be unrealistic in your expectations. So do not skimp on the figures and be sure to allow for emergencies and unforeseen events. You really need to think outside of the box. Rather than trying to budget for the way that most people do things while on a Disney getaway, think about what your family really needs. For instance, do you really need to purchase 50 different souvenirs for each family member? Do you have to eat out at the most expensive restaurants? Try to plan for what you can live without and which splurges actually mean something to you. No one wants to go on vacation counting every penny. That is miserable. However, you do not want to go on vacation only to come home and pay for it for the next two or three years. The following are some practical ways to save money on your Disney trip without going insane. 1. Say hello to water! As you are dining out, you might be shocked to see the price of sodas on your bill. Think about either cutting out soda altogether while you are on your trip, or if that is a seriously well-loved guilty pleasure in your family, at least limit it. Maybe you could all live with only having soda at dinner. 2. Go a day without the big stuff. It is entirely conceivable that you could spend an entire day without spending a dime on attractions but never be bored. 3. Use credit card rewards as a way to save vacation dollars. Of course, this only works if you are responsible with your cards. Otherwise, it is just throwing away cash on interest. Once you have your money saved up, booked your flights and hotel, you need to download "Where in Disney" app. So what is WHERE IN DISNEY? 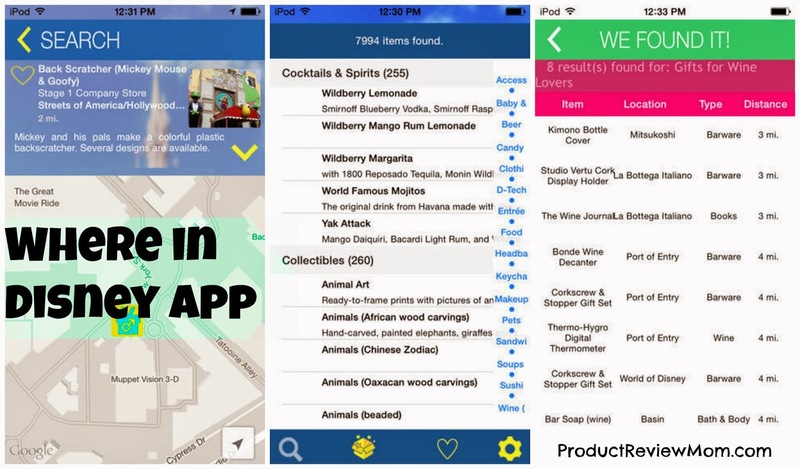 - the app that gives users the power to search for anything, amongst dozens of categories, giving visitors to Disney World even more time to enjoy the magic. With over 8,000 items, you can zero on the Elsa plush doll that would make a little girls day or a gluten free snack for the family member with dietary restrictions. Did you know the Disney World Resort in Florida is twice the size of Manhattan? It covers the same acreage as San Francisco. For that reason, it's tough for new visitors (and often, for regular guests) to keep track of where everything is. What makes it even more challenging is that Disney is always trying new things: new merchandise, new attractions, new restaurants. It's sensory overload! Google may not have a search engine app devoted to Disney World, but you can get "Where in Disney?". It provides a service to the millions of annual Disney World guests that no other app provides (even the official My Disney Experience app). Items are mapped on Google maps, and color photos show you both the item you're looking for and the facade of the store or restaurant you seek. Where in Disney? is Free but only available on the AppStore! Download it today and you can upgrade to the premium version later with an in-app purchase. Have you taken a trip to Disney World before or would like to? Yeah Paris, Disney needs to hire you as a tour guide! You know about every inch of Disney. She should have applied for Disney Mom's Panel. 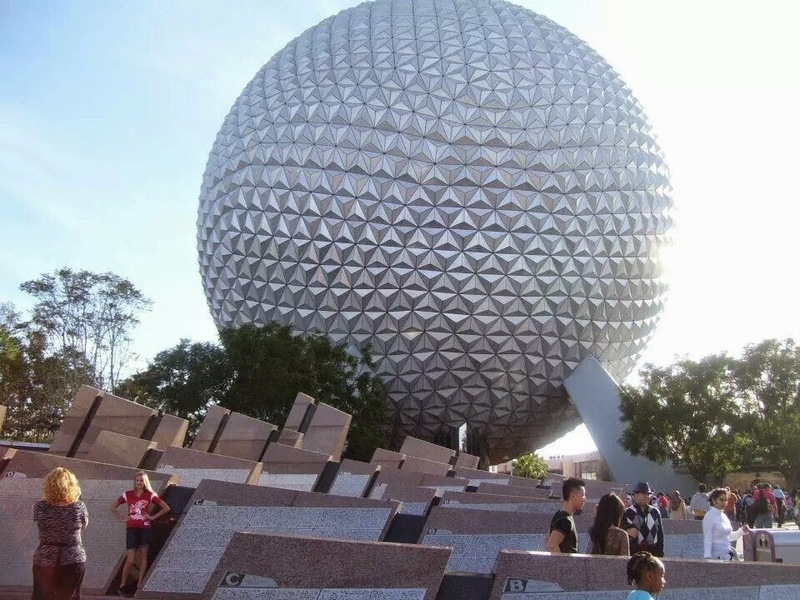 These are some really great tips on how to save money while vacationing at Disney. I have never been to Disney because I knew it cost an arm and a leg...pretty much the whole body but we are saving our pennies anything at this point will help out. Yes Kita, Disney is very expensive but if you plan right you can lower the cost. We have been dying to take our kids and nieces and nephews to Disney but the cost is SO crazy! I love the ideas. These apps are fantastic. I am going to download tonight. There is also an app, not so much for saving but more for when you get in the park called WDW Waits. It is free but I think there is a paid version. It gives you the wait times for all of the rides around the park. Last time we went, before kids, it was decently accurate. I've heard of the app about the wait times for rides, I think that app is surely a time saver! That's pretty awesome! I've never used an app like that before since I usually leave my phone in the room, but it seems like it might behoove me to take it with me on our next trip! Great tips! Try the app out Natalie next time!